Home > Blog > Whole Home Remodeling > Do I Need a Home Remodeling Architect or a Designer? 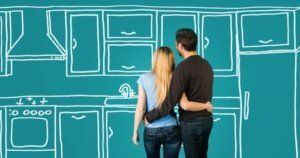 It’s a question we often hear from prospective clients interested in renovating their home: Do I need a home remodeling architect or a designer? Our typical answer is not always so black and white. In fact, both a home remodeling architect and a designer can create plans for your remodeling project. However, the key is to not hire the first person to show you a blue print. 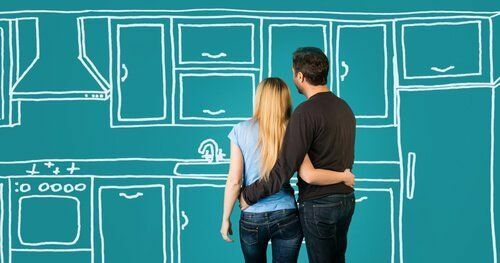 At Republic West Remodeling, we always advise homeowners to do their due diligence to determine whether a home remodeling architect or a designer best fits their needs. One of the biggest differences between the two professions is schooling and licensing. In most cases, a home remodeling architect most likely has a different educational background than a designer, and has met industry standards – higher education degree, practical experience and professional licenses. On the other hand, a designer does not necessarily have to be licensed in order to practice, however many professionals in the industry are calling for more standardized regulations for home designers. Professional certification boards, like the American Institute of Building Design, help designers seek certification. However, it is not currently mandated. Which One is Better for Residential Design? The answer to this question is strictly a matter of opinion and is greatly influenced by the experience of the professional more than anything. Those who prefer designers feel that their interests lie exclusively in the design of homes. They tend to believe that this makes them more aware of the latest design trends, and that they specialize in design of personal spaces. Alternately, home remodeling architects may dabble a bit more in commercial architecture or designing buildings above three stories. This gives them a broader range of expertise among many different types of structures. Those homeowners who prefer hiring architects often feel that if you are building a home, you need somebody with a greater expertise of overall construction, laws, codes and specifications, which some designers do not always have as much experience in. While people in both fields are qualified for the job, we strongly encourage homeowners to interview the home remodeling architect or designer to determine their ability to handle your job. Also, remember to ask for a portfolio of previous work, as well as references before any monetary exchanges occur. No matter the job title, a competent home remodeler will provide this crucial information. And always be wary of anyone that cannot provide references or is unwilling to answer your questions from Day One. Taking the time to carefully select the right person for the job can save you much frustration, time, effort and money in the long run. At Republic West Remodeling, we offer the best home remodeling architects and designers in the Phoenix and Scottsdale area. Contact us today to schedule your free consultation.